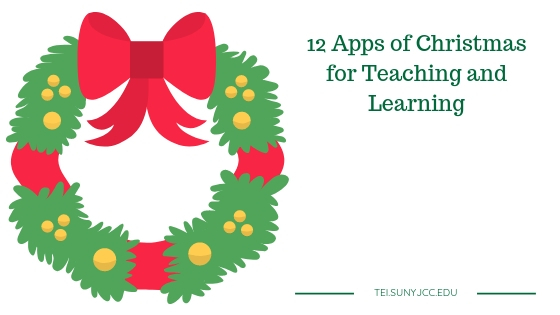 The 12 Apps of Christmas presents an opportunity for students, educators, and educational support staff to learn about mobile apps that can be used to support teaching and learning in the classroom or online. On each day of the event, one app is presented along with a short activity to get participants using the app for an educational purpose. This year the 12 Apps of Christmas will run from December 3 to 18. Apps to be presented should fit with the following criteria. Not previously presented in the BC 12 Apps of Christmas (or to be presented in a way substantially different from the previous entry). Free to download and use, or have a free version (not just a trial version) with substantial features. An educational activity that incorporates the app can be completed in around an hour. See the apps from 2016 and 2017 to get a sense of what has been presented already. Hope we’ll be seeing you (and your app) this December.